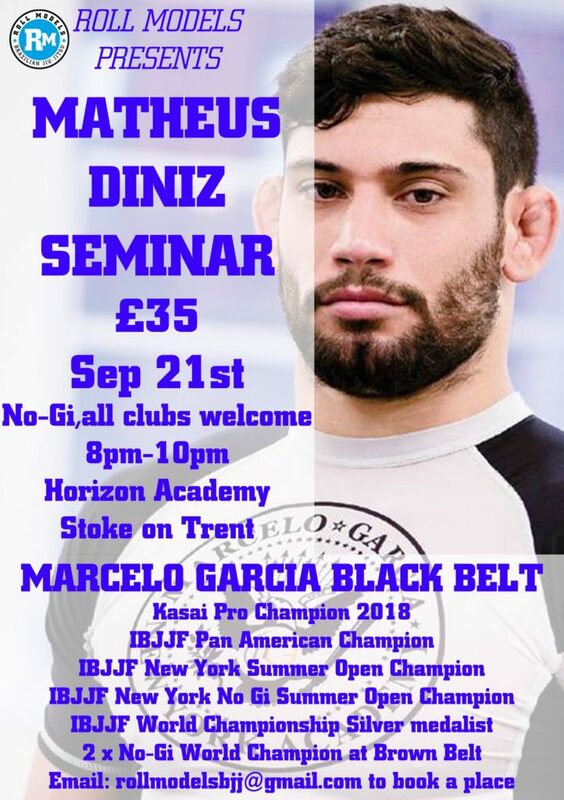 Roll Models are pleased to present a seminar with stand out Marcelo Garcia black belt Matheus Diniz. Matheus is a world renowned competitor and a current Kasai Pro champion. With notable victories over the likes of Gary Tonon, Gilbert Burns, Richie Martinez, Charles Negromonte, Neiman Gracie and Murilo Santana he is one of the best -88kg competitors in the world, ranked at 5 by Flo Grappling.